I have handmade and hand anodised this chainmaille bracelet from titanium wire in beautiful seaside inspired colours. I hand coiled and cut the wire in to rings, then wove them in to the shaggy loops chainmaille weave. This hand-made cushion features a machine embroidered design of a very cute Labrador puppy, leaning against a post. The cushion is made out of a brown and gold striped fabric and a darker brown fabric, both arranged in a patchwork style around the embroidered centre panel of cream fake suede. Hand-made cushion with a Black and White Cat machine embroidered in the centre. The cushion is made out of a grey fake silk and a darker grey linen, to form a patchwork effect around the centre design. The painted glass was fired in a high fusing kiln at 1200F 4 times to achieve the detail and ancient look. The leaded stained glass was cemented for a strong hold and hangers were added for easy display in a window. Traditional painted stained glass depicting a Gothic beast. The painted glass was fired in a high fusing kiln at 1200F 3 times to achieve the detail and ancient look. 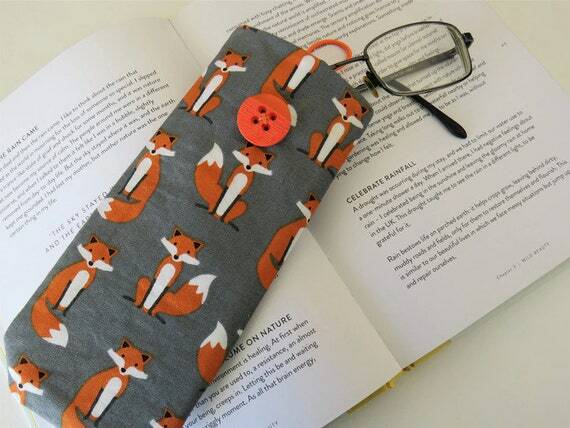 The Eye Glasses Case is made with the most delightful fox fabric, little foxes on a Charcoal Grey background......it is lined with a Silver Grey and White polka dot fabric fabric and closes with an orange elasticated loop and button. Using this lovely Cheshire Cat pendant I've added 8 mm purple crackle glass beads, Tibetan silver beads caps & connector all threaded on to memory wire to make a 18" necklace with a 2" extension chain finished with a bead feature, this necklace is designed to sit on the collar bone. When I bought this lovely set of lampwork beads they were titled Sunnier Climes. The beads were created by Debbie Dew of Silverartz (member of SRA and SRAJD). To enhance these lovely colourful beads I have used round facetted crystals by Swarovski in a pale shade of green called Chrysolite. I have also used matching crystal cubes to complete the necklace. The Eye Glasses Case is made with the most delightful fox fabric, little foxes on a Charcoal Grey background......it is lined with a Silver Grey and White polka dot fabric fabric and closes with an Lime Green elasticated loop and button. This decorated Ceramic Pot is so handy for storing all sorts of things. Pens, Pencils, Artists Brushes, maybe on your dressing table for Make Up or Hair Brushes. It is a nice sturdy pot so is unlikely to fall over, it is appox 5 inches tall and decorated with this pretty Poppy design. 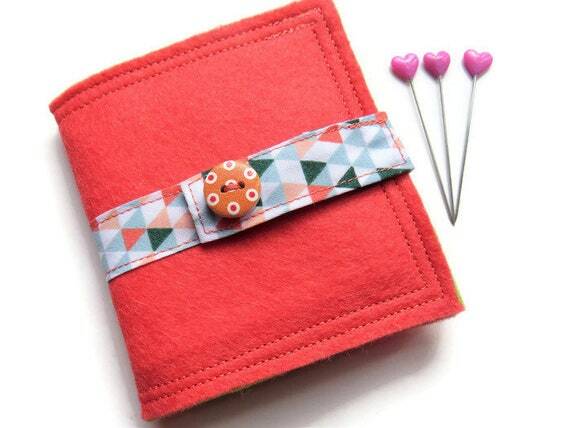 The needlebook has been created using 2 layers of premium wool blend felt containing 40% wool and 60% viscose, the top layer is Coral, the inside is Lime Green there is a layer of wadding to give the needle book body and stability. 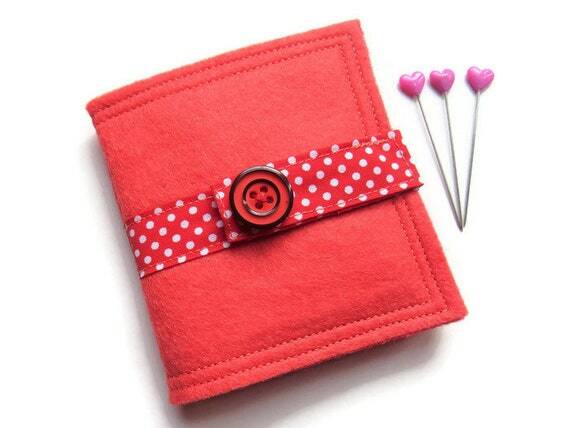 The needlebook has been created using 2 layers of premium wool blend felt containing 40% wool and 60% viscose, the top layer is Coral, the inside is Red there is a layer of wadding to give the needle book body and stability.